House A has broadband modem and laptops connecting on wifi with a standard vodafone modem. House B would like internet access (No phone lines running into this building) The distance between House A and B is probably 120-130M+ so running cat5 is not an option. One thought I had was to go point to point wireless from Building A to B but a hill in the way has that idea stopped in its tracks. Idea was to put a small switch or even a crossover in the shed to link the two Transmitters/Receivers. Any thoughts would be appreciated if there is a better way to tackle this. I believe you can also use the NanoBeams in a point to multi-point configuration and enable the transparent bridge mode. Building C would be configured as an "Access Point" with points A and B connecting to it. That requires one less NanoBeam, and you won't have issues with the close proximity of two units. On second thought, while you can probably do this with three radios and repeating the signal, the NanoBeam isn't a good choice as an access point due to a narrow beam angle. You could also look at doing the run straight from A to B and using an Ethernet extender technology, but I'd just go with the Cat5/6 via building C.
If you want to stick with wireless have a look at the Uniquiti Loco series which have a generous beam angle. We have used the Loco M5 very successfully for short hops in urban areas where modest throughput (adsl/vdsl speeds) is fine. I think your plan of going from A to C to B is fine. You won't need a switch at C as the Ubiquiti radio's ethernet interfaces do auto-crossover. If the distances are all less than 200m I would just stick with the NanoStation Loco M5 as they will give great performance up to about 1km. The NanoBeam is a bit over the top. Even on the Loco M5 you will want to pull the power down a fair bit. Another good (and maybe a tad cheaper) option is the Mikrotik SXT but setting them up will be a BIG learning curve if you haven't worked on Mikrotik before. Have a think about whether the hill is low enough you could put the wireless devices on poles and go from House A to House C. Too tall and the radios wobble in the wind killing your reliability unless you have a hefty A-frame tower which may not be attractive. Alternatively, can you cable to the top of the hill and put one radio at the top of the hill looking down to the radio on other house? Would Ethernet over power be a solution here? Predated that is a smart suggestion. I'm certain the distance would be too great of the properties would be on a different phase but if a set could be borrowed for testing that would be worthwhile just in case the OP gets lucky. If anyone has a EoP (Ethernet over Power) device I could borrow that would be great. I am living in Cambridge but could travel to the outer town if needed to pick these units up. I did think about cabling from A -> C -> B but as others have said, once geting the trenching, buying conduit and gel filled cable that suits the job, wireless is the better option. My only concern is reliability and the access point being in close proximity as said, I could put one on either side of the building to space them out a bit. Had a similar thing at a friends place with some guest accomodation down by the road and the main house with DSL somewhat furthur away from it. The guest house had a seperate cable up to the early 90's outdoor meterbox with its own breaker coming off there, not the 1970s era breaker board in the house. Anyway, No signal at all between something plugged into the guest house and the main house. They were on the same phase as the place only had one. Pair of cheap outdoor 2.4GHz AP's off aliexpress sorted it out, put the guest house one into repeater mode and the wireless clients can hang off that when down at the guest house, the one at the main house is only bridging to the one on the guest house so clients cant connect to it. 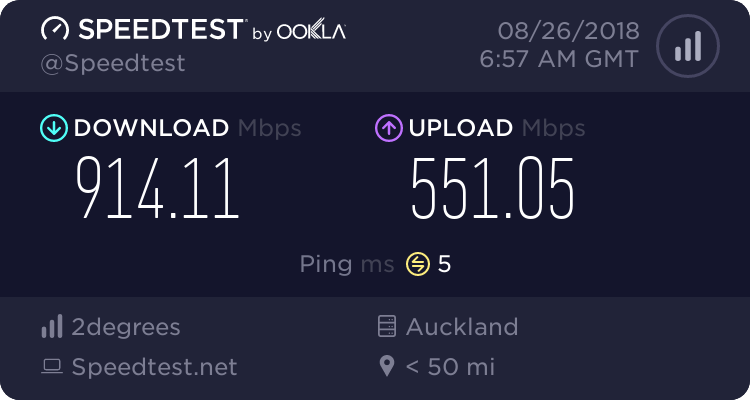 Speeds good enough to max out the DSL connection and the pair of APs ended up being under $100 landed. Using some Nanobeams + some access points will be the best way to go. This area is currently served off a Conklin with an upgrade coming very shortly for faster broadband so do it right to ensure good speeds. richms what units did you get off aliexpress, at that price it would be nice to try get signal in my scenaro. kornflake: richms what units did you get off aliexpress, at that price it would be nice to try get signal in my scenaro. Don't buy cheap units. The ubiquiti nanobeams are really cheap. or the same thing from another seller. Seems the prices have gone up. Ignore them saying that its 300 meg wifi, all the cheap ones are 150.